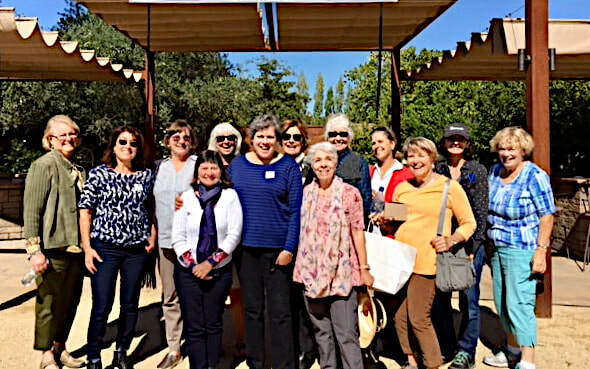 The Sonoma County Forum was founded in October 1979 to provide networking opportunities to female community leaders; much the way the Empire Breakfast Club was then providing for men in the business community. Insurance woman Evelyn Farrell founded the organization. Farrell was new to business in 1977, having been a homemaker for 25 years. She soon realized there was a need in Sonoma County for a way to share information and meet other businesswomen. She invited 10-12 women whom she considered to be community leaders to meet with her and listen to speaker Hugh Turner describe how the men’s breakfast club was formed. In the beginning the Forum did not have enough members to attract speakers so the members would take turns speaking. The first meetings had eight to ten people. The meetings consisted of the members going to restaurants and getting a table. A typical meeting would take place at the back of a coffee shop with everyone describing how they got to Santa Rosa. From there, the Forum grew. Some of the things they decided against were fining, as well as blatant advertising and self-promotion. “We thought it was important to control the fact that people could not be up on their feet advertising,” said Farrell. Although, she pointed out, the members were very much encouraged to do business together. When the By-laws were created, the distribution of promotional materials and fundraising items such as tickets were prohibited at the meetings.